Graco Diaphragm Kits are used to replace the Diaphragm that is commonly used in tha air-operated double diaphragm transfer pumps. This kit is specifically intended to be used in the replacement of diaphragms in a 1" diaphragm pump. These durable diaphragms will enable the pump to consistently achieve the proper suction needed in order to transfer materials such as Oil, Water, Anti-Freeze, and other dispensable fuels. This diaphragm is certified to operate under a maximum air pressure of 125 PSI. 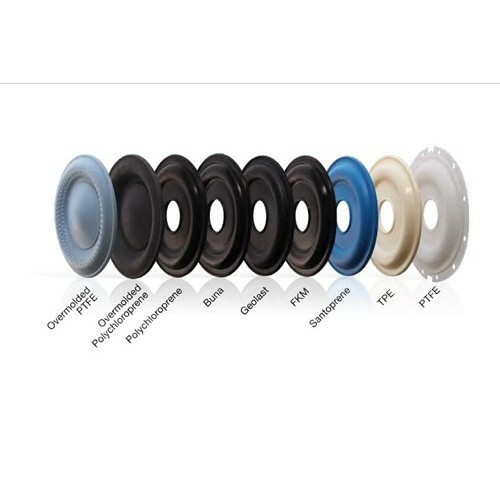 This diaphragm is made of a Thermoplastic Elastomer (TPE) which is commonly substituted for Buna-N, and is known for its high level of abrasion resistance.